World O' Crap: Episode 50 and The Return of Larry Blamire! Episode 50 and The Return of Larry Blamire! 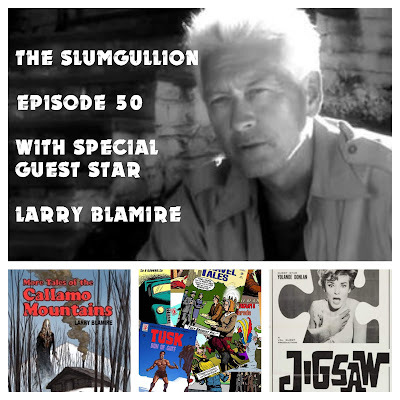 Grab a glass and join in, because it's our half-centennial episode and this time we've got a special guest: writer-director Larry Blamire, who sits down to talk about his new book of Western horror stories, More Tales of the Callamo Mountains, his upcoming book Great Scott! Rare Imaginary Comic Book Covers, and a multitude of other weird angles, tangents, and asides. Then it's time for the Unknown Movie Challenge, as we volley opinions about the unjustly neglected Val Guest classic Jigsaw (1962).